The Atherton Tablelands are one of the most fantastic campervan hire holiday destinations in the heart of tropical Queensland. Furthermore imagine breathtaking waterfalls, pristine lakes and an ancient rainforest full of wondrous fig trees are just some of the great attractions in this area. Below is our guide to Things to do in Atherton Tablelands and this is one of the travelwheels campervan hire cairns staff favourite places to visit in Queensland. It is far away from the typical tourist bustle of the coastal region, and finally you can relax and get away from it all! 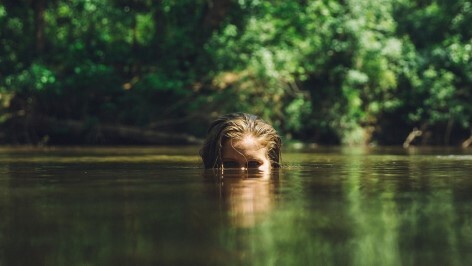 Things to do in Atherton Tablelands dive into the pools! If you have any questions about this Travelwheels guide to best things to do in Atherton Tablelands, then send us an email [email protected]ls.com.au. Our friendly team at our Cairns branch have traveled around Queensland by campervan and know all the good spots to visit! In the meanwhile here is a useful link for where to go in Atherton Tablelands that is worth reading. What are the Atherton Tablelands & where do you find them? The Atherton Tablelands are, strictly speaking, three plateaus of different altitude. In particular they are parallel to the coast in the northern part of the North-South mountain range called the Great Dividing Range. However before you start planning it might be worth especially investigating the weather. 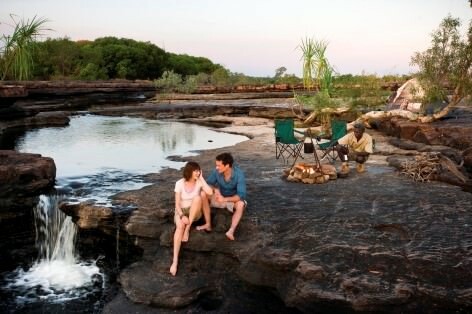 For example is it the wet or dry season when you want to hire a campervan to visit Atheron Tablelands? Here is a link to our page about best time to travel to Queensland for great weather? When looking for recommendations for things to do in the Atherton Tablelands, then exploring the natural habitat spring to mind! The Central Atherton Tableland usually the most interesting for nature lovers. As a result of being 600-900 meters above sea level, it offers dense rainforest, fascinating crater lakes and Australian art and culture. By the way check out historical places like Atherton, Yungaburra, Tolga, Walkamine, Malanda and Millaa Millaa. 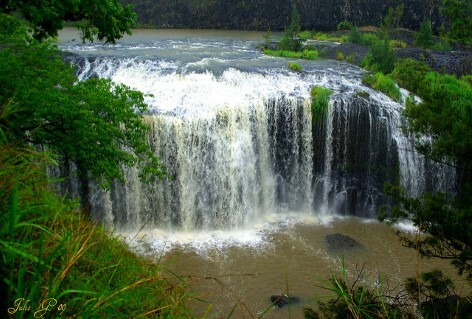 Another suggestion for things to do in the Atherton Tablelands is to explore Marreba-Julatten Tableland. It is north of the Central Atherton Tableland and impresses with beautiful waterfalls, the Mareeba Wetlands and the Granite Gorge National Park. 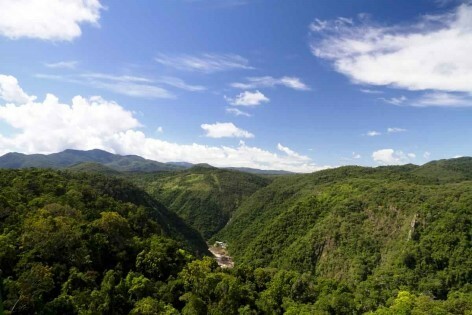 For example in this region there is also a popular tourist gathering point called Kuranda. This place is located close to the coast and is famous for the incredibly beautiful cable car ride. Together with the Kuranda Skyrail cable car and the rainforest tour with the Kuranda Scenic Railway this is a must for anybody looking for things to do in Atherton Tablelands. The highest plateau in the tablelands is the Evelyn Tableland with up to 1200 meters above sea level. By the way it is worth popping by Ravenshoe and this is the highest city in Australia! One of the best ways to see all the things to do in Atherton Tablelands is to hire a campervan. Together with a campervan you have your hotel on wheels, and in this case a mini restaurant as well! For the most part, the Tablelands are spread out, so then it really makes sense to combine your transport and accommodation costs. In this case, the most cost effective way to do is to hire a campervan to visit Atherton Tablelands. For example the freedom, and therefore experience being able to drive to waterfalls and dive in to cool off is great fun! For instance when you are on a coach trip, they can only cover the most tourist spots, so campervan hire to explore the tablelands is great! 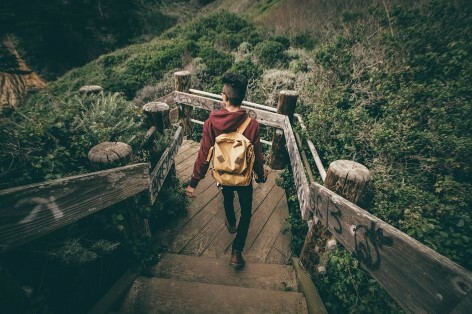 In addition to it being an adventure, you can save a lot of money if there are three or four of you. In the meantime why not enter you dates into our campervan hire price checker and you guys could be on your way to see all the tings to do in Atherton Tablelands! Many of our customers ask us which are the highlight of the Atherton Tablelands? In particular there is no one must do thing to see! Hence the area is loaded with lots of interesting and exciting things to do in Atherton Tablelands. To summarise, if someone tells you it is possible to see the Tablelands in a day, chances are they haven’t been here much! This is why we recommend exploring the Atherton Tablelands on a campervan hire holiday. This way you can relax and enjoy exploring this magical place. To conclude we recommend spending between 3 to 7 days exploring this area to understand it’s magical beauty. 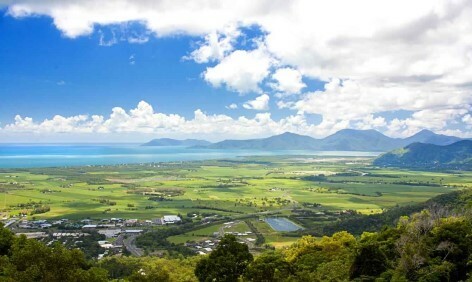 Remember to take your time and let yourself be enchanted by the outback region of Cairns. By the way this is a wonderful place to explore especially during the summer month, a welcome and cool break from the hot coast! With a travelwheels campervan hire holiday you are perfectly equipped to explore the region in your own pace. Therefore it’s time to read our guide to things to do in Atherton Tableands! 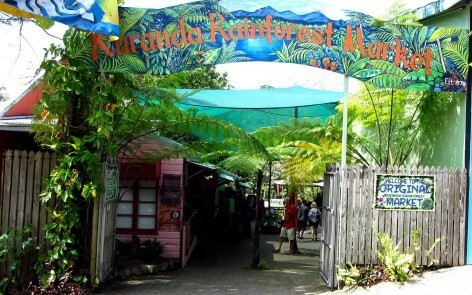 The rainforest village of Kuranda is one of the most popular attractions in the region. For example, highlights include the colorful markets, the Australian Butterfly Sanctuary, the poisonous and creepy crawlies of Australlian Venom Zoo! Finally it is worth feeding of semi-tame parrots at the Bird World in Kuranda. How long is the drive from Cairns to Kuranda by campervan? If you are driving from Cairns to Kuranda with your travelwheels campervan it will take you approximately an hour. Usually it takes longer than this as there are so many things to do and see on the way there. 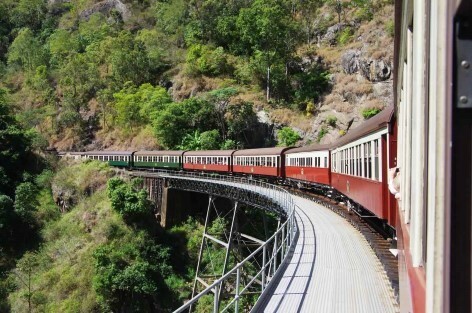 For example we suggest stopping at the wonderful viewpoint “Wrights Lookout”, which is only 5km south of Kuranda. 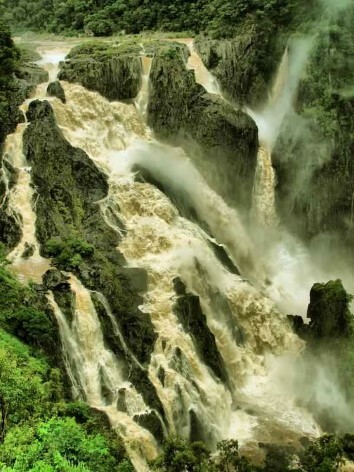 Here you will get an eye-popping view at Barron Falls, where the water plunges 107 meters deep. Barron River Falls -Impressive, right? A must do on the things to do in Atherton Tablelands is the Skyrail Rainforest Cableway. Especially as this is the longest cable way in the world, measuring 7.5km! Discover the magnificence of the rainforest from the sky, and particularly enjoying a view all the way down to the Great Barrier Reef. Emerald Creek Falls, Bicentennial Lakes, Davies Creek Falls & National Park are wonderful things to do in Atherton Tablelands. For instance, it is worth checking out Mareeba Wetlands as well as these are all great attractions of this region. However, a real gem for young and old is Granite Gorge Nature Park which is 12 km south of Mareeba. 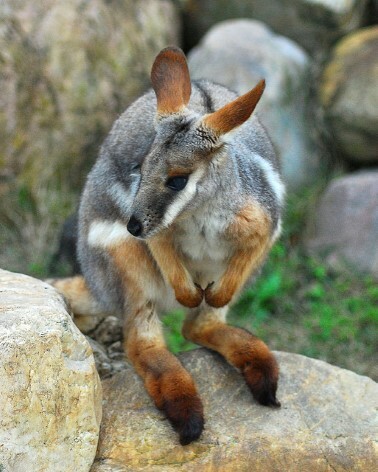 Here you will find little wallabies hopping from rock to rock, which are happy to be fed by visitors. You can get a great view of the impressive volcanic activity that formed the Atherton Tablelands. The National Park offers a range of activities to discover the scenery. As a result birds, turtles and other forest residents along the 3 trails can be seen. By the way these trails are only one kilometer long, and consequently make a great way to see some wildlife in the area! In the meanwhile why not go for a canoe trip along the river which is spectacular. About two hours west of Mareeba you get to the fascinating Chillagoe-Mungana Cave National Park (check out a video here). This is another one of the great things to do in the Atherton Tablelands. 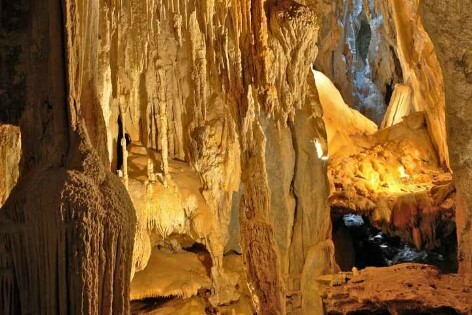 In particular we suggest exploring the mesmerizing caves and chalk formations. IMPORTANT NOTE! To visit this place it is along unsealed roads. Check with the company you used for campervan hire in Australia to see if they allow you to drive on unsealed roads. 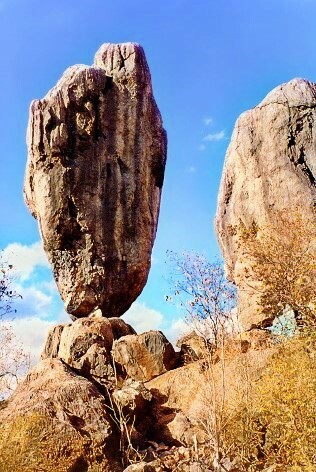 Another highlight of this wonderful park is the Balancing Rock. Park up your campervan and then it’s only a 440m walk from the car park. From here it leads you to this bizarre rock formation and well worth checking it out on your things to do in Atherton Tablelands checklist! Take a moment to enjoy the surrounding countryside and take pictures of the beauty of this landscape. 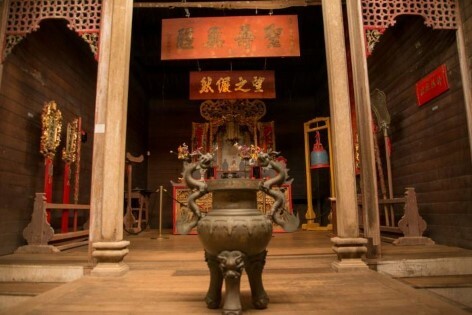 On the way towards Yungaburra, it is worth stopping at Atherton to admire the wonderful Taoist Hou Wang Temple. Here is a relic of Chinese immigrants back in 1800 which left a small Chinatown for you to explore. 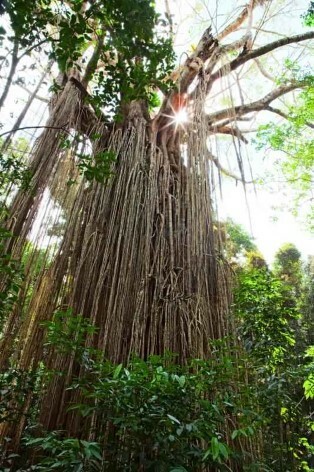 Yungaburra is known for the giant Curtain Fig Tree, which has its host strangled with eternally long aerial roots and is definitely worth a photo. Another place to tick off on your things to do in the Atherton Tablelands is visit Lake Eacham. Here lies a beautiful crater lake surrounded by an interesting 3km long trail. 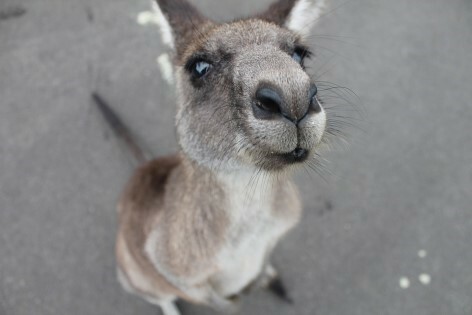 In the meanwhile you will see kangaroos and many birds call the area their home. Together with Lake Barrine and Lake Tinaroo, these are also great places to check out in the area. From here you can follow beautiful hiking trails or rent a boat for fishing or chilling on the lakes! Lake Eacham – Amazing view! You should not miss out on a round trip through this region! You can visit Millaa Millaa Falls, Zillie Falls and Ellinja Falls, three stunning waterfalls all in one go! If you’ve still not seen enough of the beautiful waterfalls, you can head south of Millaa Millaa. From here you can drive to Pepina Falls and Falls Souita. On the way back to Innisfail you can explore 6 more waterfall! To summarize, before you head back home, Travelwheels Campervan Hire Cairns recommends the drive to a jaw-dropping viewpoint called “Milla Millaa Lookout”. From there you can snag a terrific view over the Atherton Tablelands at 1100m height. Travelling along Kennedy Highway you get to Ravenshoe, the highest village in Australia. A bit further down the Highway you end up at the Millstreams Falls National Park where you can admire some of the widest waterfalls in Australia. If you desire a more relaxing activity after all this exciting sightseeing, you need to check out Innot Hot Springs. You can recover from all the long hiking trails at Innot Hot Springs Health and Leisure Parks. The hot springs are up to 75°C hot and are rumored to have rejuvenating and healing effects. For that reason the water used to be bottled and send to Europe back in the days. Feel free to dig yourself a hole and create your own little spring, however, the water can be very hot and cause burns. Therefore we recommend being careful or using the marked pools only. Innot Hot Springs – A place to relax! Now you know what things to do in Atherton Tablelands, subsequently it is time to start planning your campervan hire holiday now! Below are some of travelwheels staff free route planner for Queensland. For example these are a great place to start planning your trip to Atherton. Our staff can also help plan your trip and give you advice on when is the best time to visit Queensland for example. Free camping on East Coast of Australia guide for campervan hire holidays. In summary, we hope you found this Aterton Tablelands guide particularly useful, and let us know if you have any more questions. By the way you can email us to [email protected] or call us at +61412766616 to speak to our team. If you have any great photos of the Aterton Tablelands, then if this is the case, can you share them with us? For example we love sharing customer reviews and photos on facebook. In addition it’s fun to see photos of your trip on Instagram, so therefore don’t be shy and share the funny ones with us! If you are planning a trip from Cairns to Sydney via the Atherton Tablelands, then check out Travelwheels Campervan Hire. We offer low rates on campervan hire holidays in Australia! Enter your dates below for our best deals on cheap campervan hire starting from Cairns. Alternatively you can call our team on 0412766616 and we speak Deutsch and Français as well!